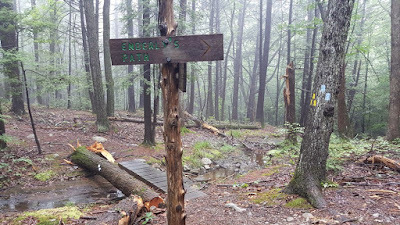 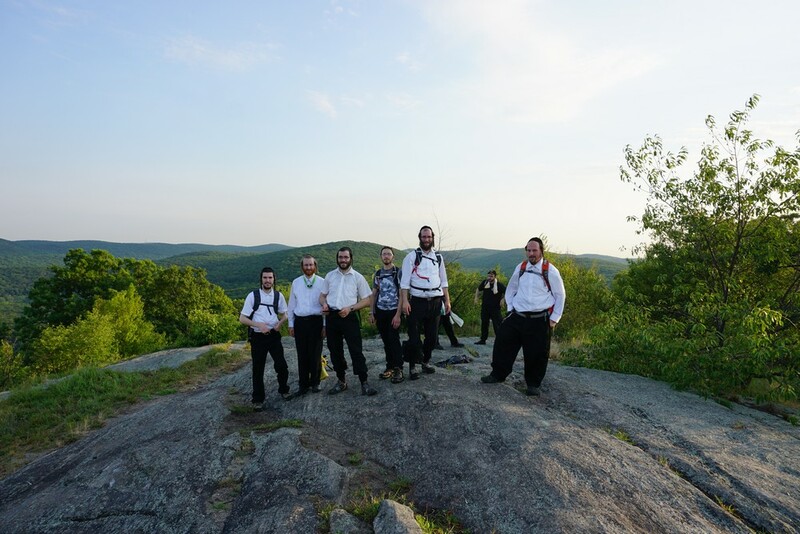 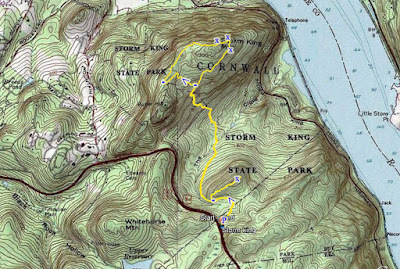 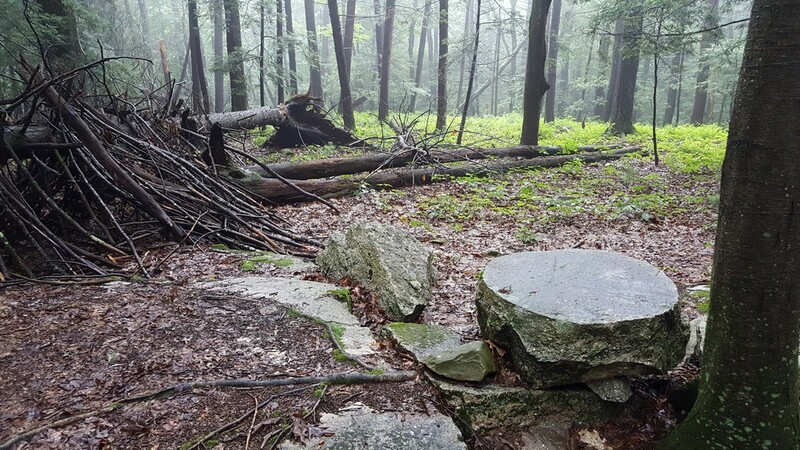 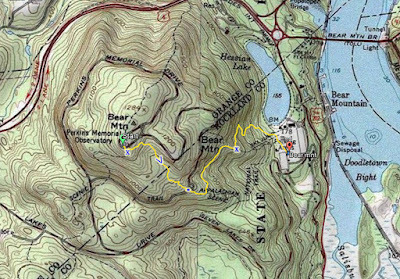 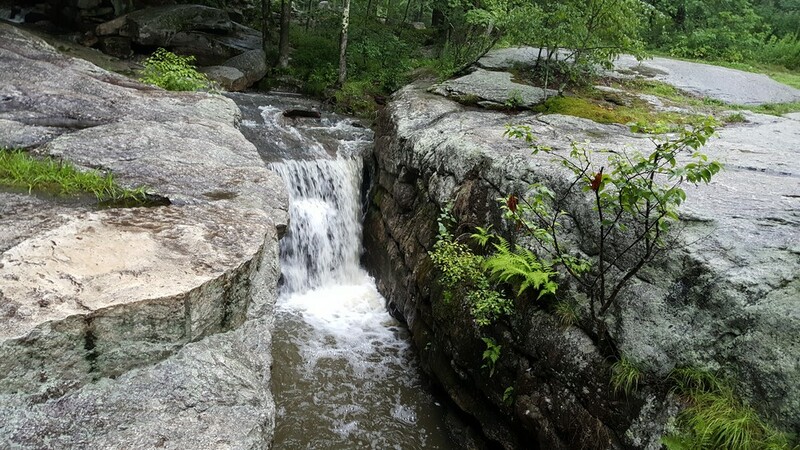 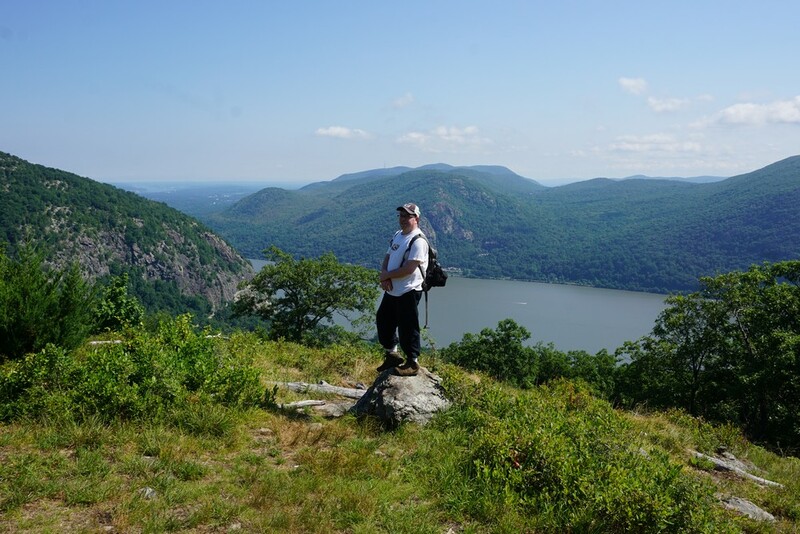 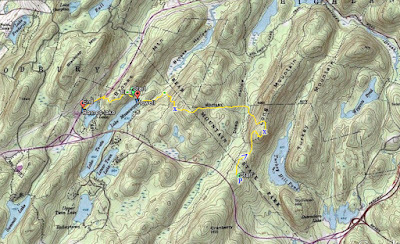 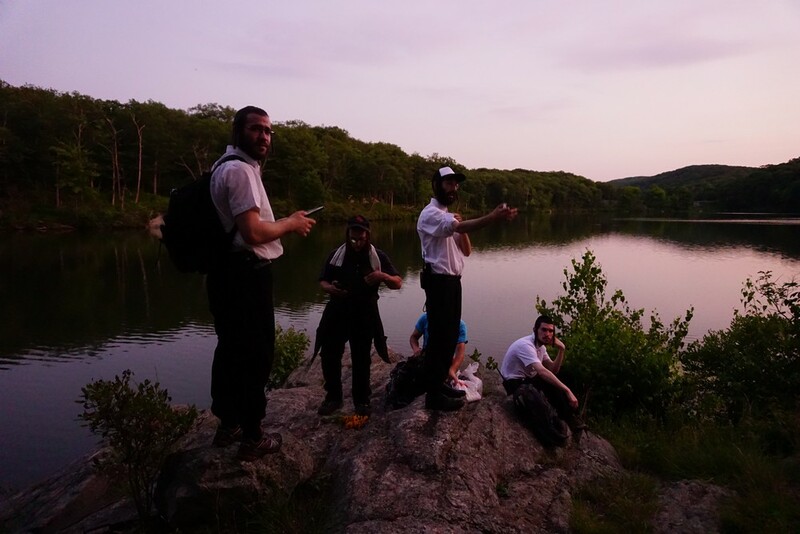 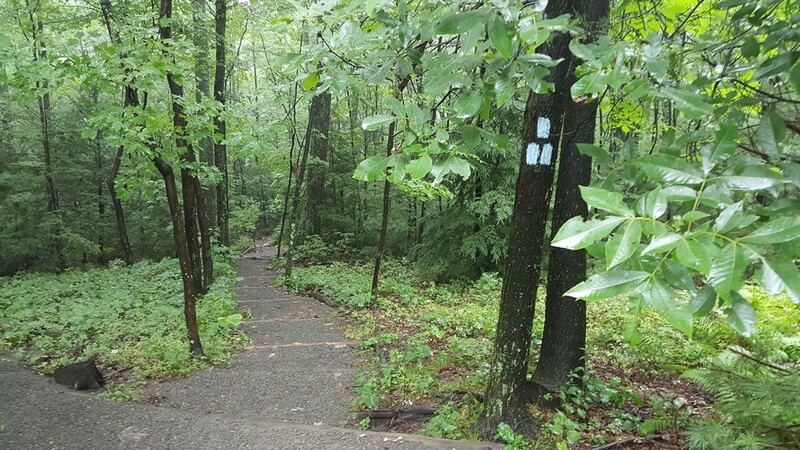 CommSAR, a local search and rescue organization, arranged a special training hike for members in the northern stretches of Harriman. 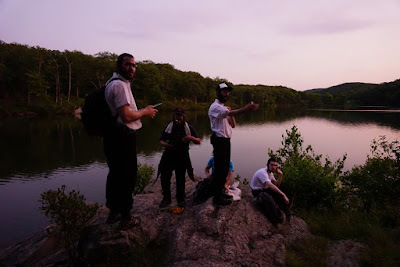 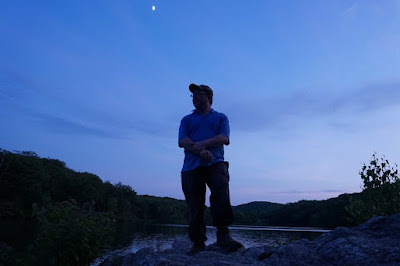 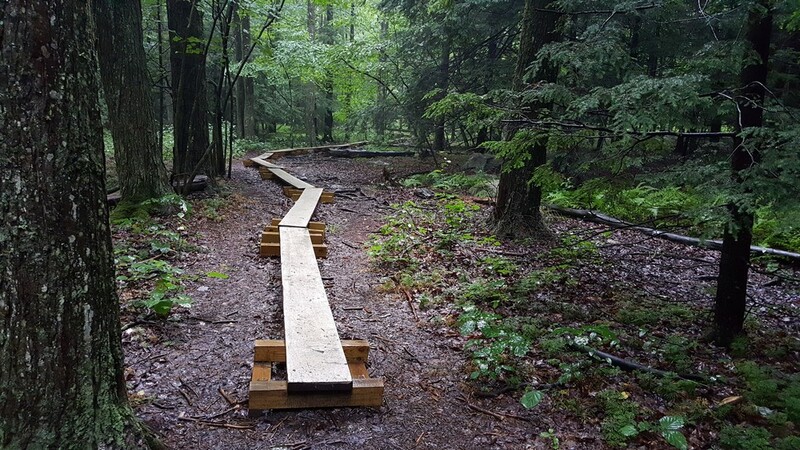 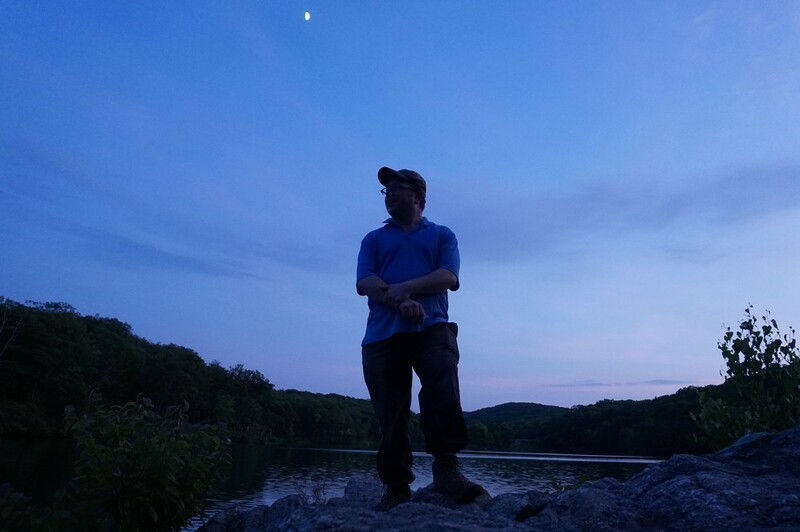 I was asked to lead a group of about 10 people and give some training for hiking in the area. We parked at the Long Mountain parking area, and hiked up the Long Path the Long Mountain. 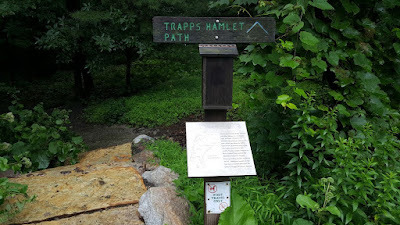 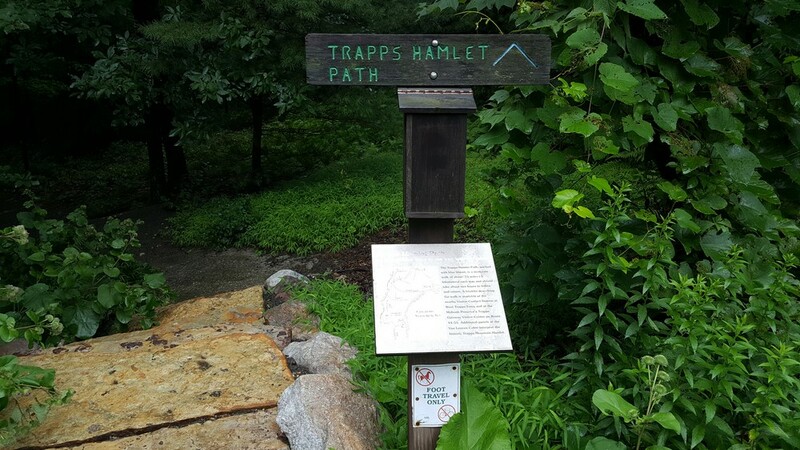 Part of the ascent here has recently been rerouted and its not as steep and rocky as it was previously as the trail snakes around a bit longer to get to the top. 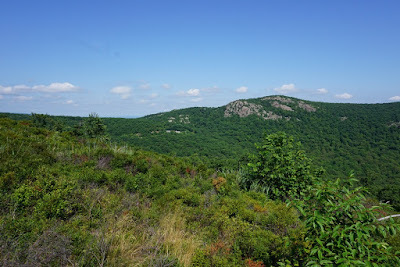 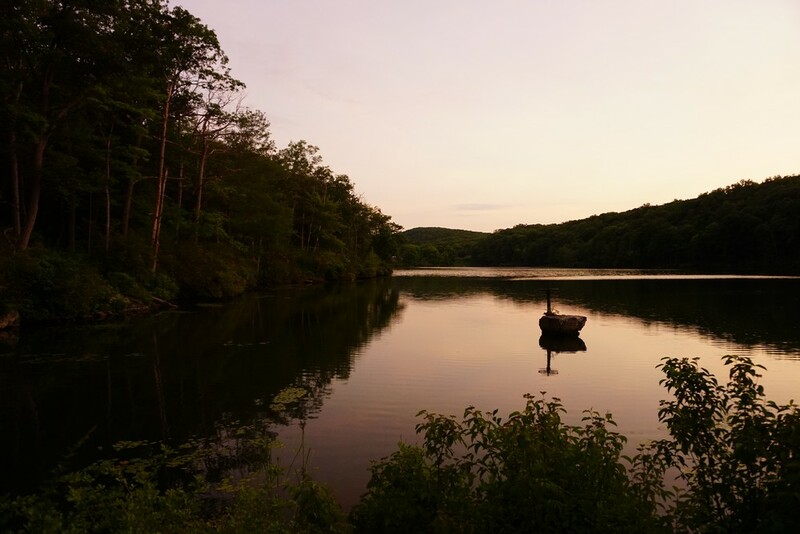 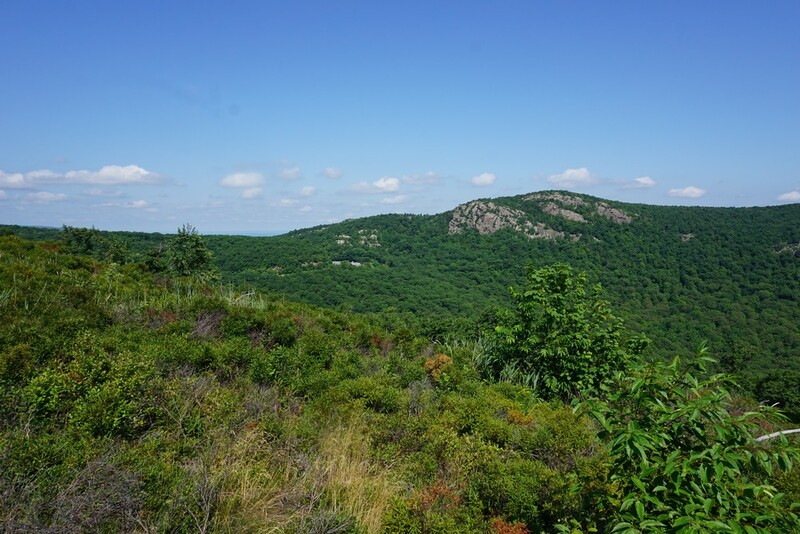 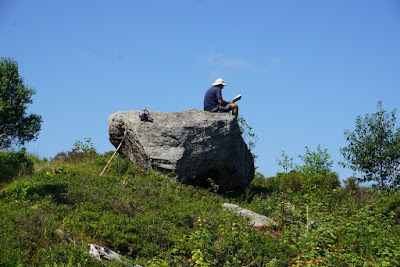 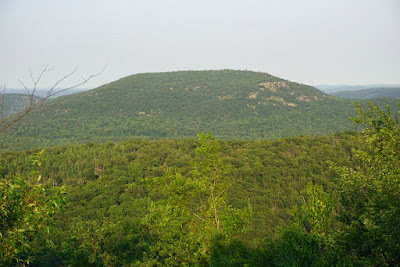 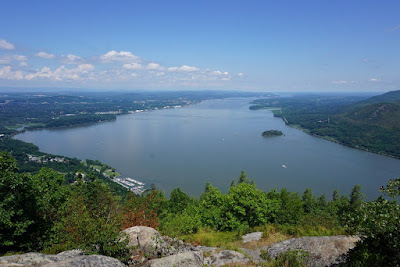 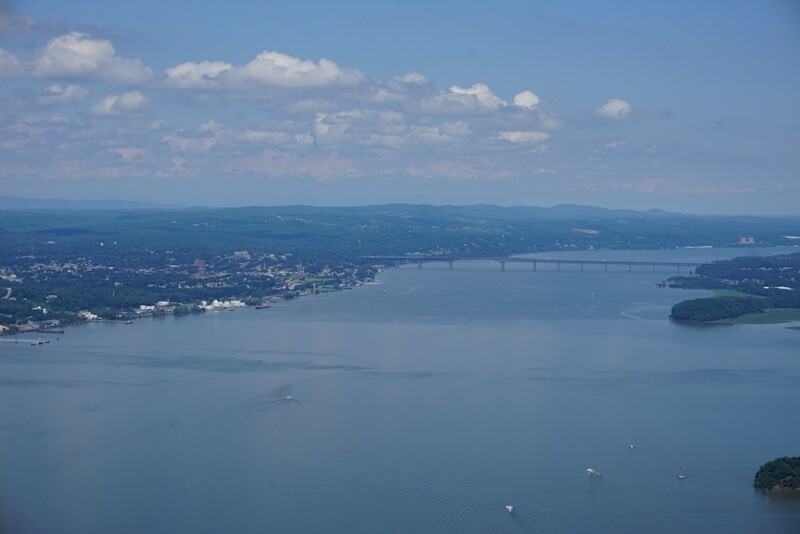 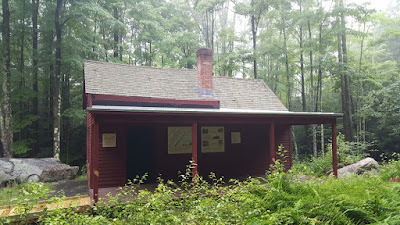 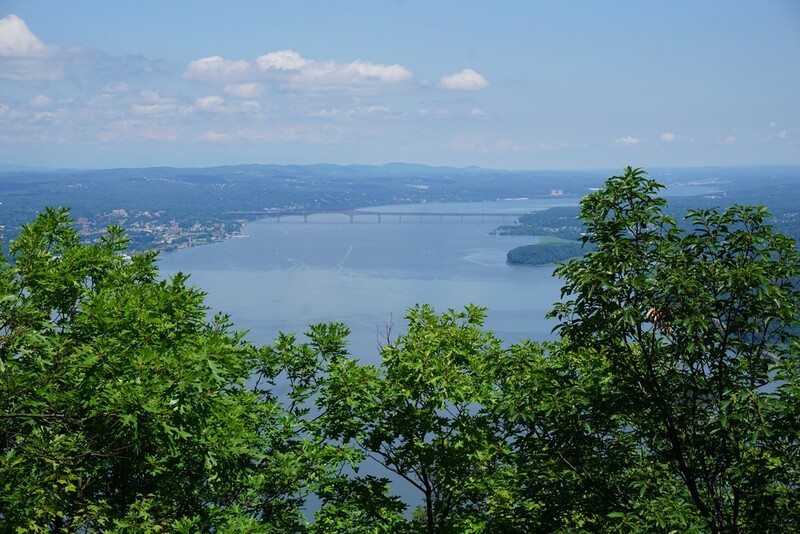 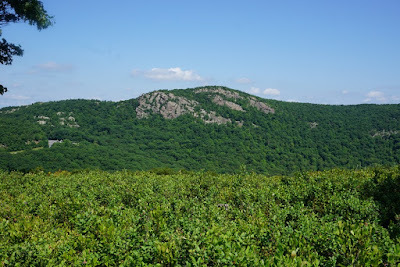 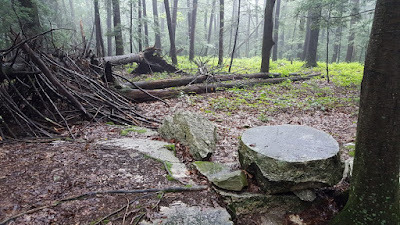 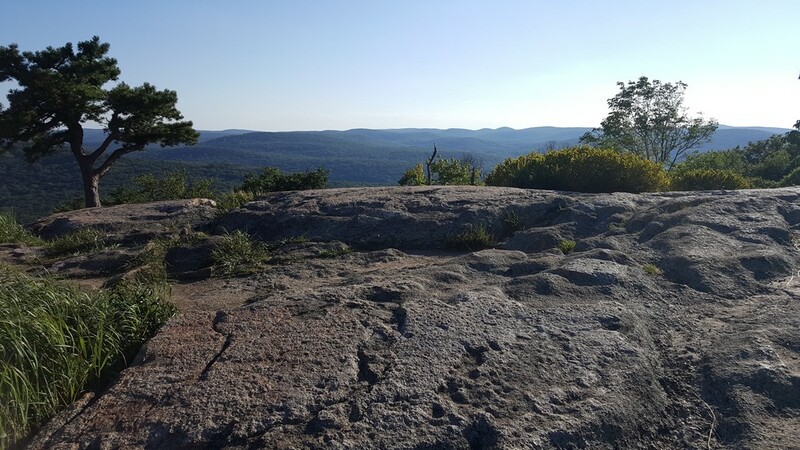 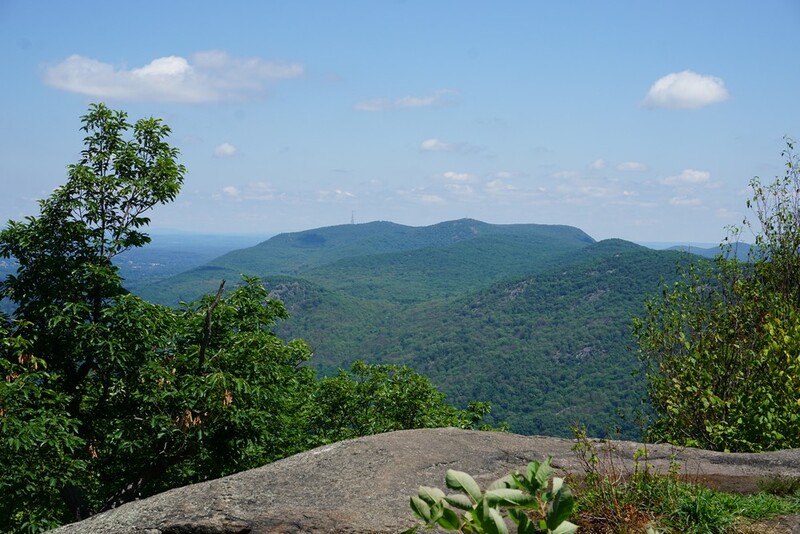 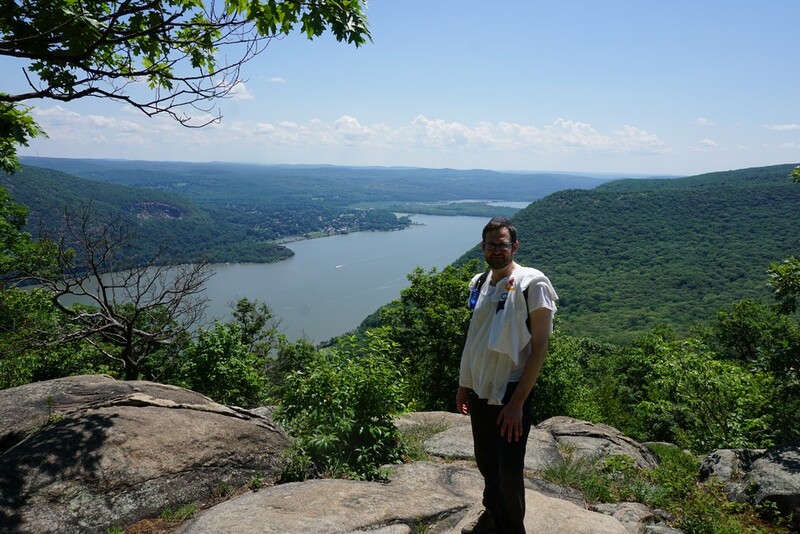 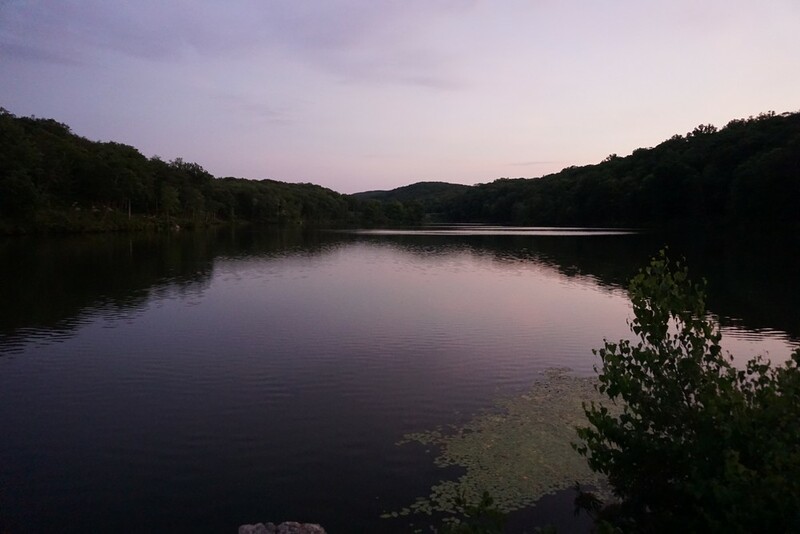 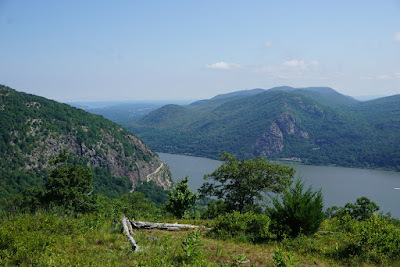 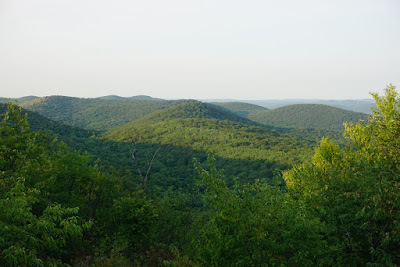 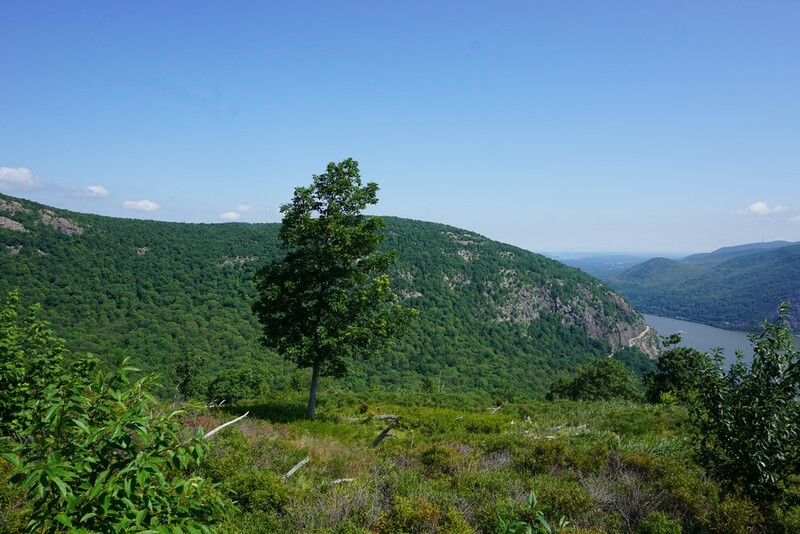 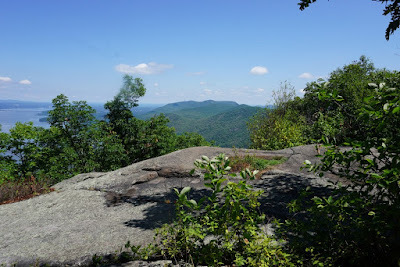 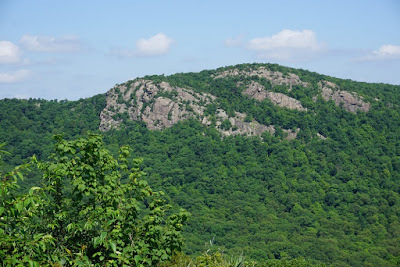 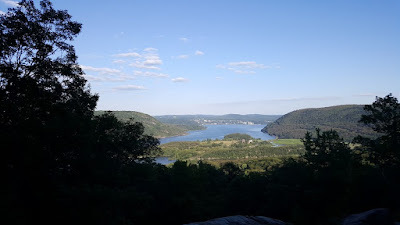 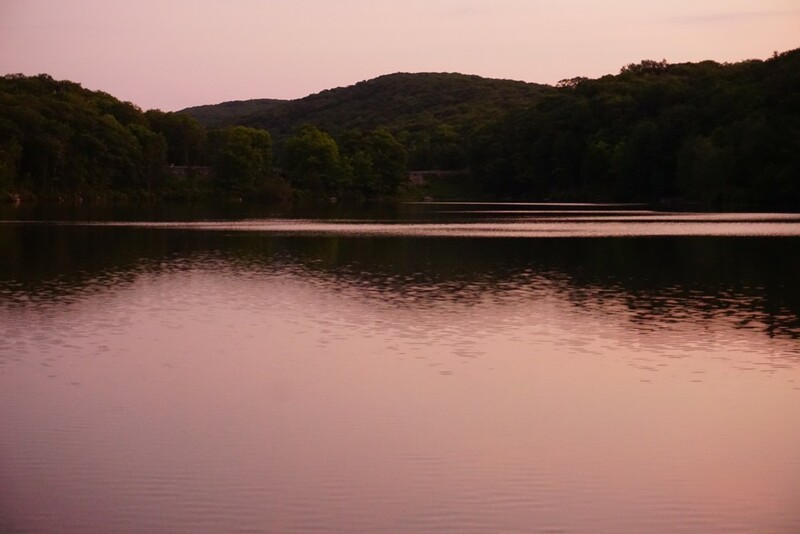 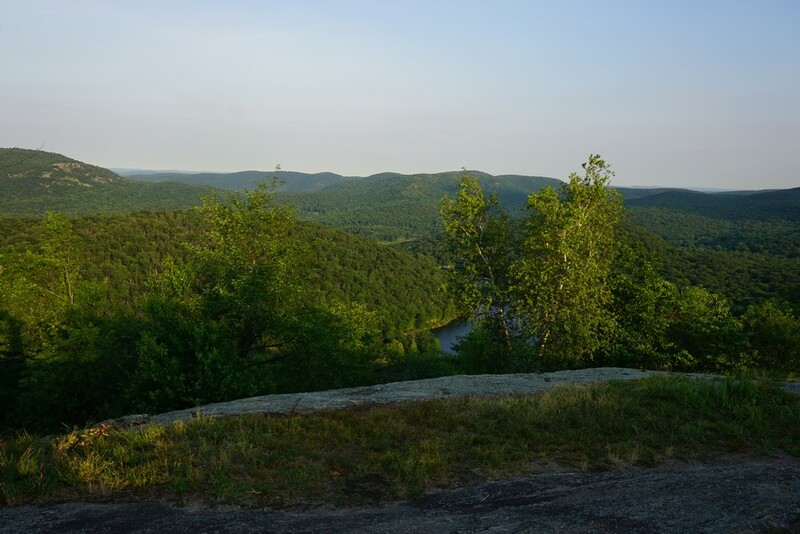 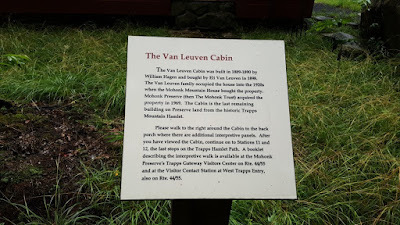 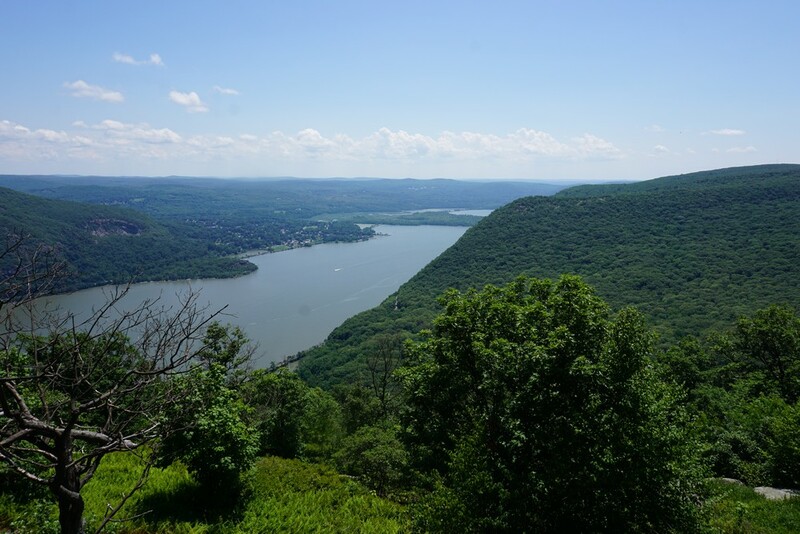 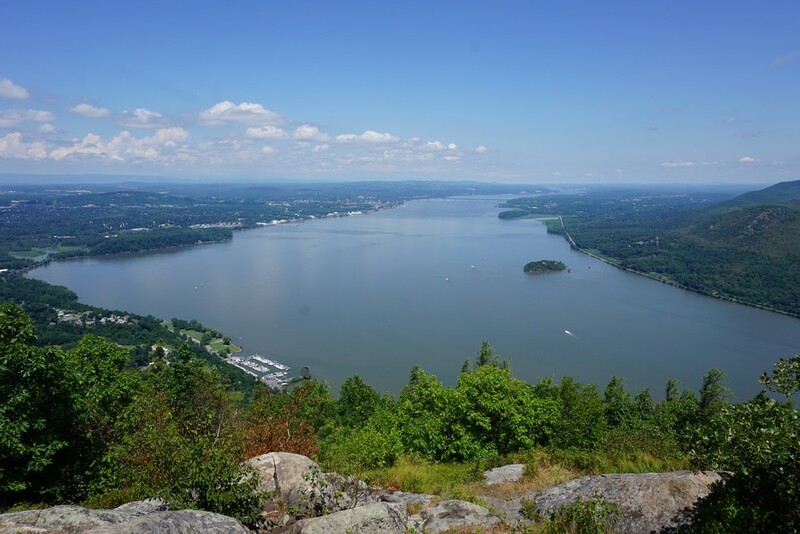 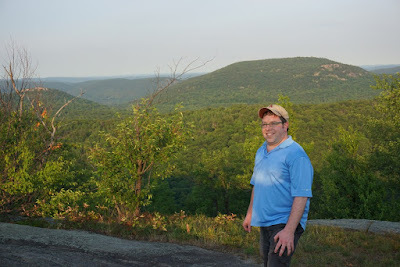 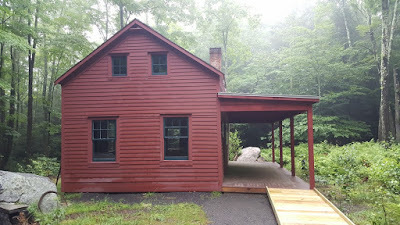 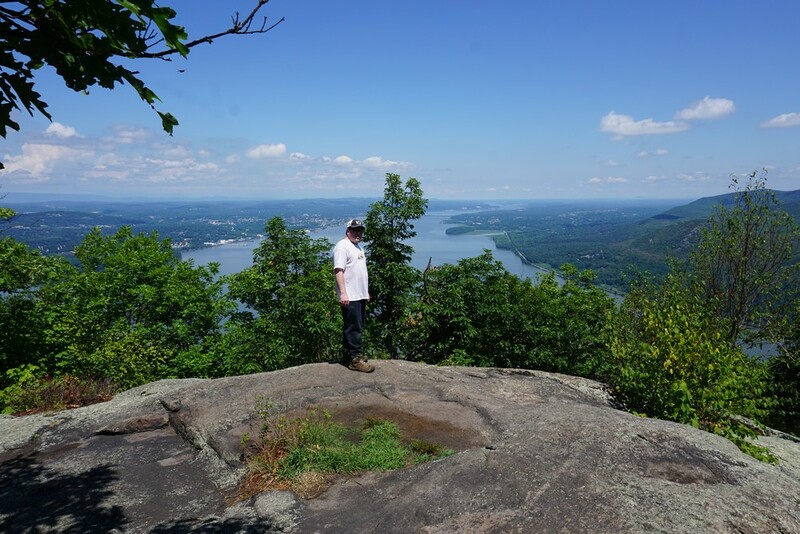 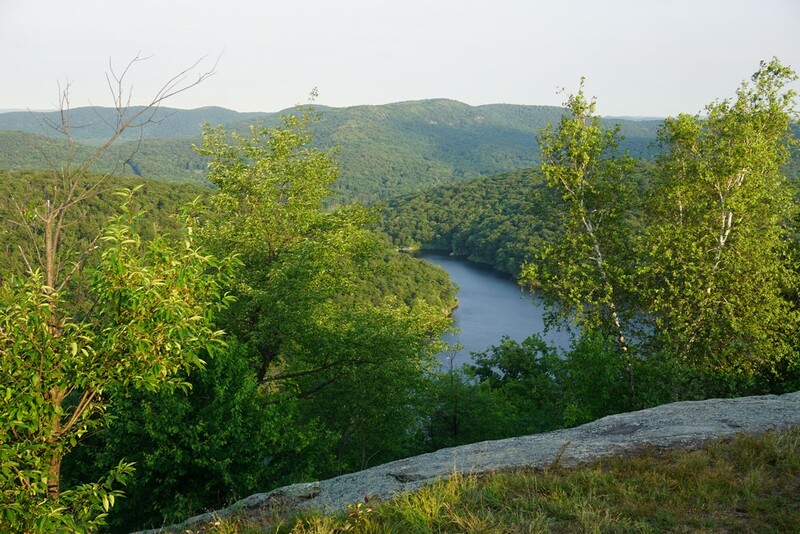 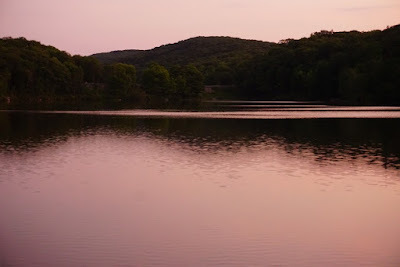 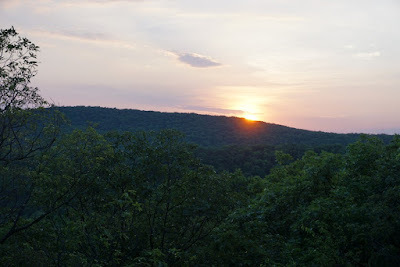 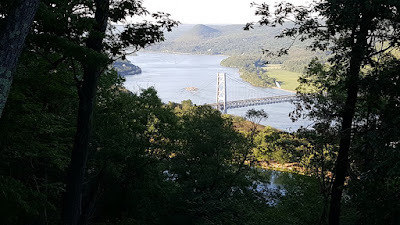 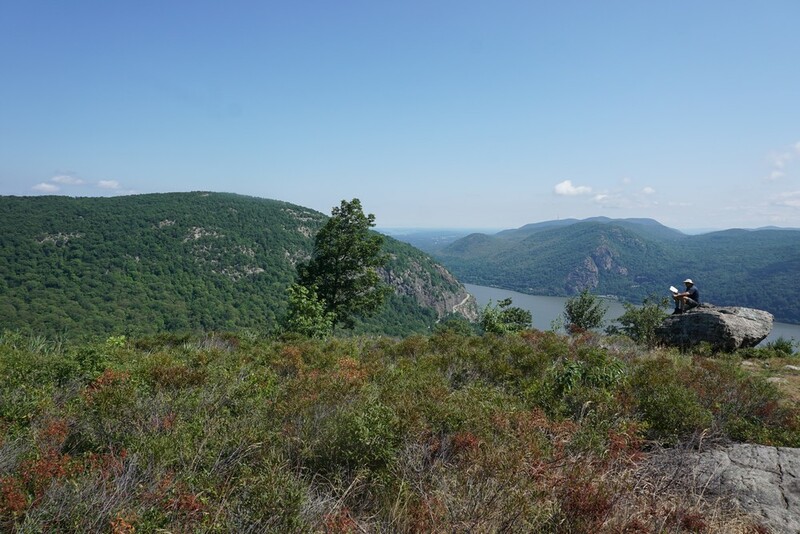 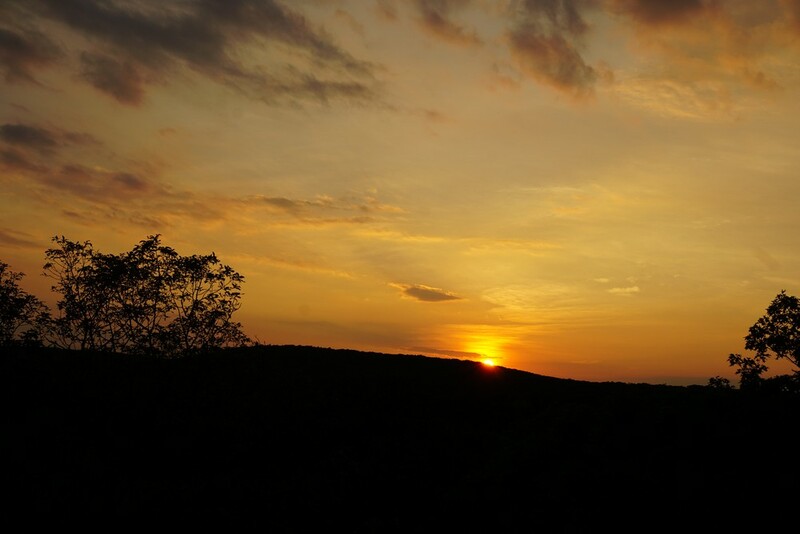 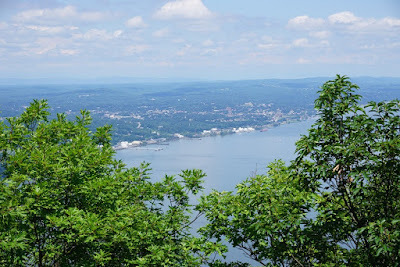 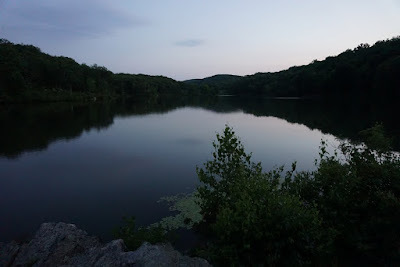 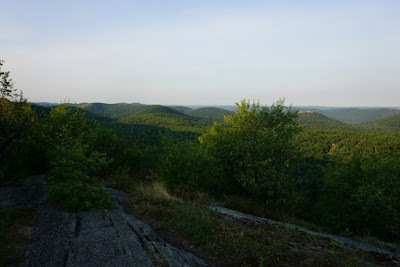 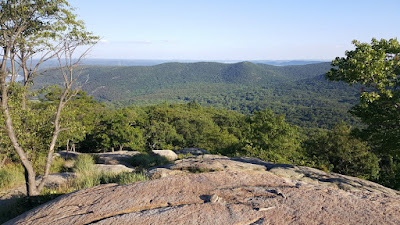 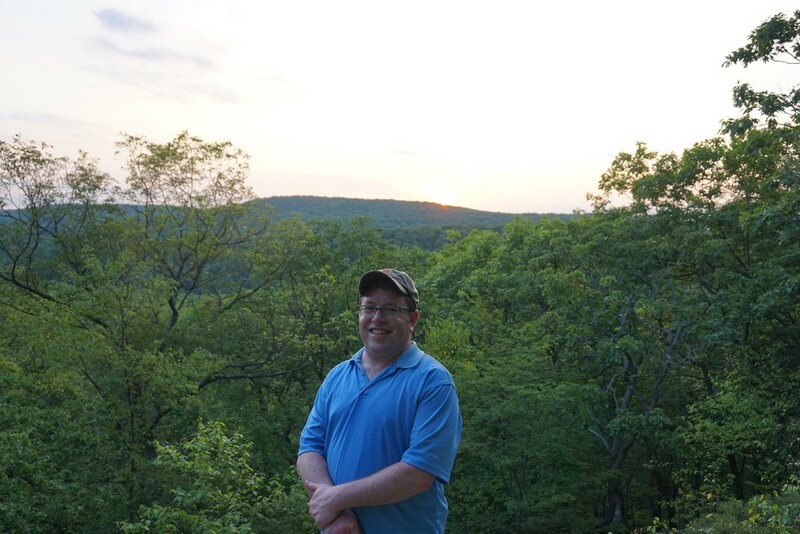 At the top of Long Mountain there is an excellent view, facing Turkey Hill Lake below, Bear Mountain to the east, and West Point highlands to the north. 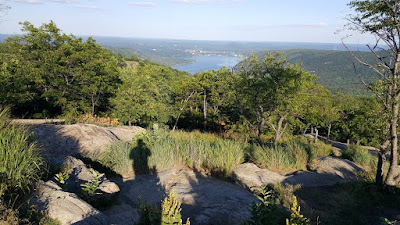 We took some pictures at the top and proceeded the descent. 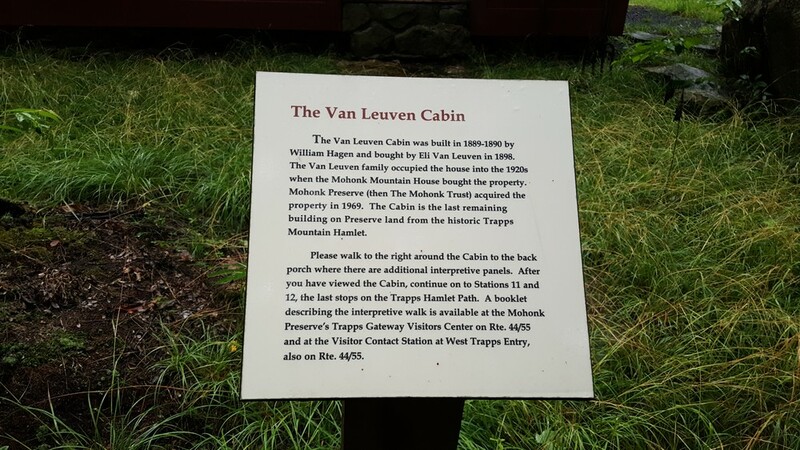 We then went along the trail to the Howell Mountain ascent, which is quite steep. 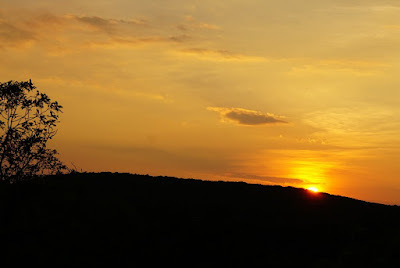 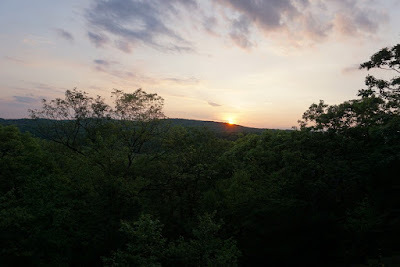 Before the descent, there is a view here where were treated to an outstanding sunset! 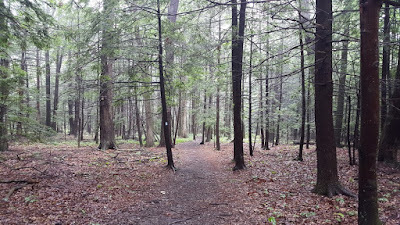 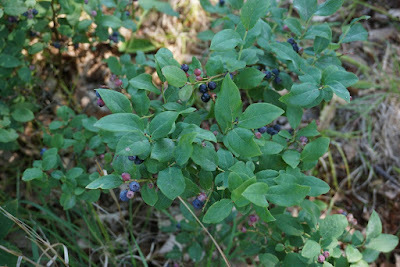 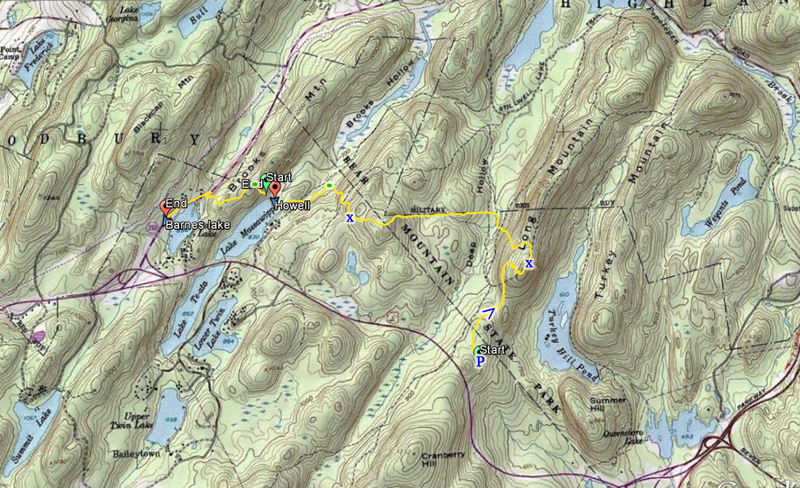 We then headed down the trail, and near the brook in Brooks Hollow proceeded to bushwack towards Lake Massawippa. 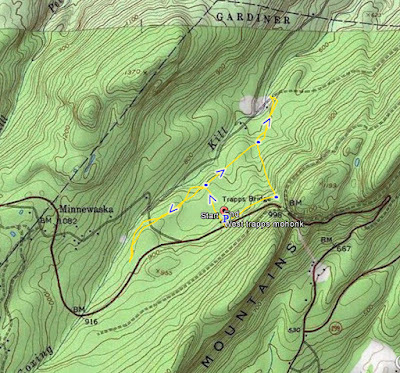 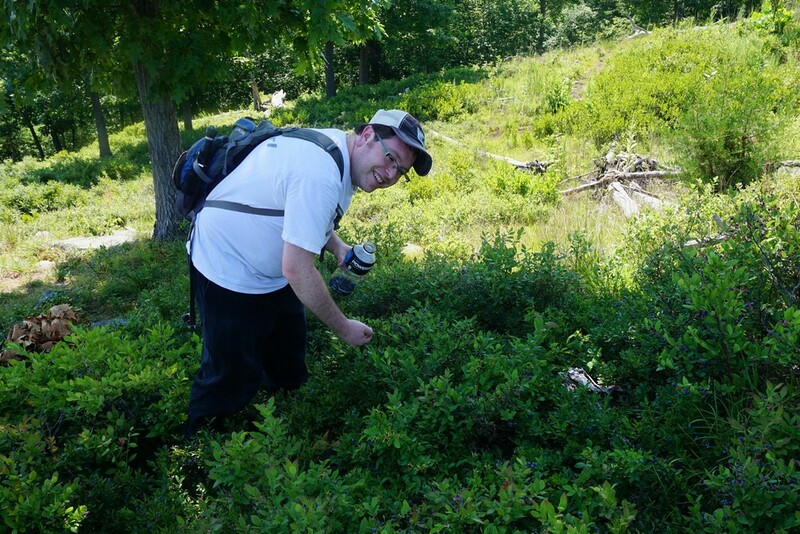 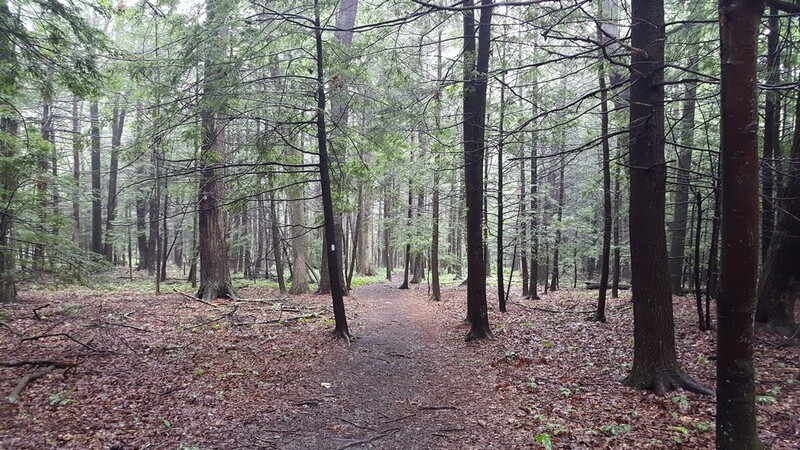 (Part of the training included bushwacking and using the GPS to get to the location.) All groups met up at the dam, and then we proceeded to bushwack up the steep hill up Brooks Hollow to the Long Path. 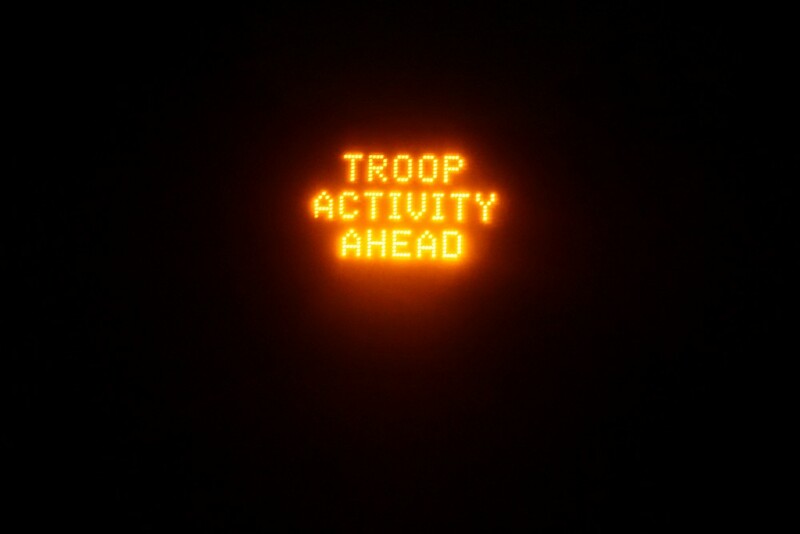 We took the Long Path until 293, where we met up with other CommSAR members and got a ride back.